Another Monday, another exciting week awaits us. Well, to be honest, it’s another exciting two weeks. 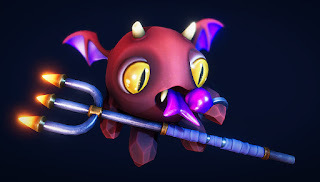 Eventober started out with huge announcements, the kick off of the 2nd King Puff Cup Season, Kripparrian streaming Minion Masters and BetaDwarf presenting The Master’s Challenge. Our team presented a first version of Expeditions, introduced Scott to you and is currently working on new biomes and new factions for Expeditions. Latest events and implementations doubled up the player numbers! Masters from all over the universe joined the battles on the flying arenas. Let’s see how new Armies of Minions arise and old ones fall. Balance is always a huge topic and we’re aware of your concerns. Changes are already in the pipeline, as well as ‘Quality of Life’ improvements and additional features. By the way: Did you know that we’re working on a Spectator mode? Yes! 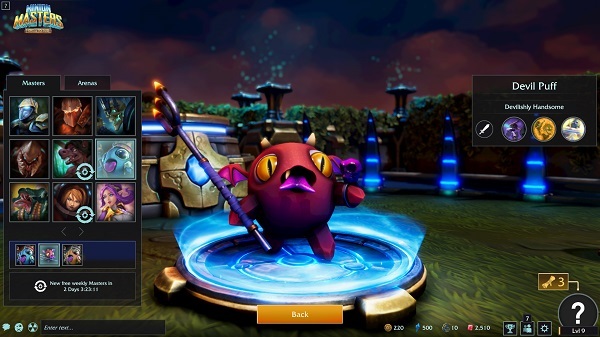 Watching other matches live and watching live broadcastings on stream will become a thing in Minion Masters! We're also looking into several reworks. Right now, we don't want to share details on that, but we want to let you know that things will change. Competitively, things are stepping up. 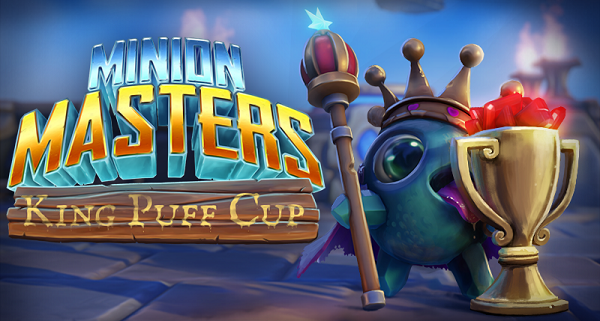 On the following two weekends we have the 2nd tournament of the King Puff Cup Season 2 and The Master’s Challenge. And don't forget about the ESL! Concerning this matter, we want to let you know that we’re watching the numbers of participants closely. While the voting is one of the core measurements for us (because it reflects the community sentiment towards the ESL Go4 Series before or after release), we have to make sure that there’ll be enough participants on a weekly basis. Researches showed, that other games have somewhere between 32 and 64+ regular participants. We’re aiming for similar numbers, so make sure to get your Minion Army ready and participate! Lately, we heard that The Master’s Challenge has 1000 reasons to participate. Might be exaggerated, but Puffs always speak the truth, right? That being said, let’s have a look at the upcoming King Puff Cup. Changing decks and Masters between games is allowed, as long as these 4 cards are not used. This tournament will be played on Saturday, October 21st at 15:00 CEST. The official announcement and sign up information can be found here. We’re looking forward to an exciting first 1vs1 King Puff Cup! We announced The Master’s Challenge several times now. It’s a 1vs1 Grandmaster only tournament, that comes with the incentive of a $1000 prize pool split amongst the Top8 players. We currently plan to run a similar tournament format like the King Puff Invitational (group stage -> main stage). However, this is not set in stone, yet. We will announce the tournament format as well as any changes regarding the rule set next week. As of right now, participants will be allowed to use all cards and Masters. The official announcement and sign up can be found here. Last but not least we want to announce the Monday Night Masters today at 18:00 CEST live on Twitch! PalaceOfDreams and Sinilil will be your broadcasters, Salbei22 your host. Make sure to watch matches like Videogamer77 vs. Memfisto, RushSecond vs. SomeBoxes and many more. guys is it possible to make dailies not that time consuming? As an adult who loves this game but works a lot it is hard for us to complete dailies like "win 30 matches". It just does not feel like a daily, more like a weekly. Hello, I wanted to say, that I loved the game, it became a daily pastime, congratulations, I wonder if there will be more heroes? My channel on You tube is Guigorex Games if you want to take a look, see you later.